Crossing over a bridge has both symbolic and practical meanings. 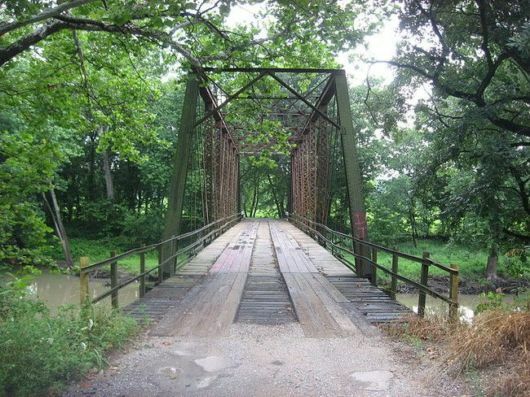 That’s why it should come as no surprise that bridges are often at the center of paranormal legends. Bridges large and small across the country come with sinister tales of violence, tragedy, and fear. Here are 13 of the spookiest bridges, including one that might surprise you. 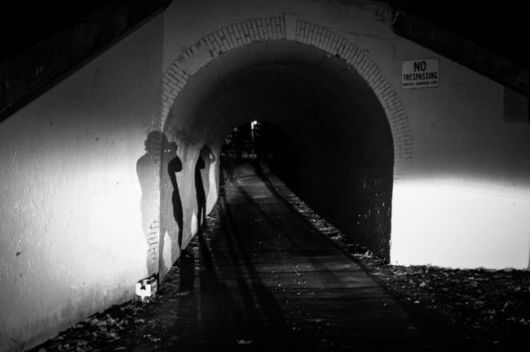 The Bunnyman is a figure of urban legend in Fairfax County, Virginia. He’s said to hang out around the Colchester Overpass. Two incidents have formed the legend, both occurring in 1970. A couple in a car were seen being accosted by a man in a white bunny costume smashing their car window, screaming about trespassing. Also, a security guard once approached a man standing on the porch of one of the unfinished homes on the site. The man was wearing a bunny costume and holding a long-handled axe, and he began chopping at the porch while complaining about trespassers. Nothing further was ever discovered about these incidents, which are creepy enough on their own. 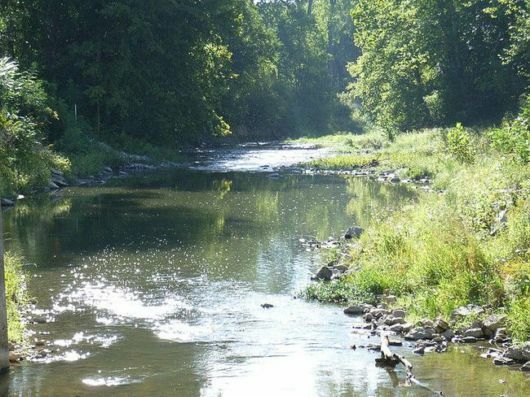 This picturesque stream in central Indiana doesn’t seem like the place for a tale of grisly death and haunting, but it is. 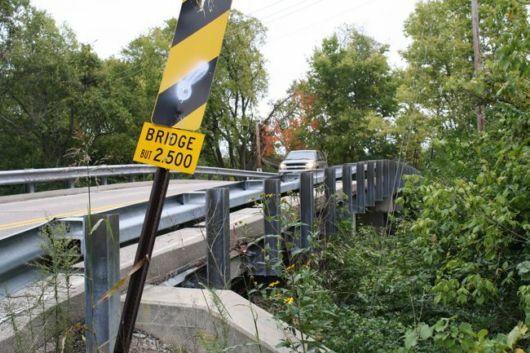 A railroad bridge between Danville and Avon is home to two legends. One tells of a construction worker who fell into wet cement and slowly drowned in it while his fellow workers watched helplessly. The railroad company refused to spend the time or money recovering the body, so they left him in there, encased in the cement. Another legend tells of a woman carrying her baby across the bridge who had nowhere to duck into when a train began to bear down on her. In desperation, she jumped. She survived the fall, but the baby did not. At night, you can also apparently hear their screams, and some people have reported seeing a woman in white, down in the water searching for something. 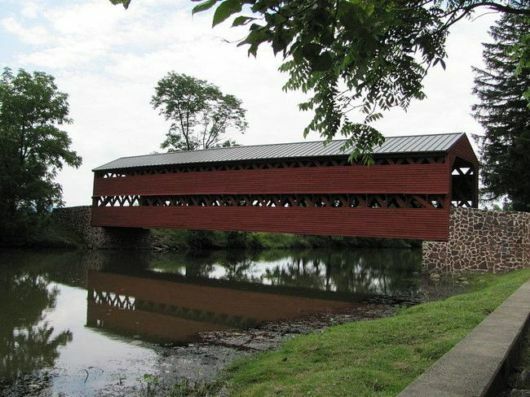 Both the Union and Confederate Armies used this bridge during and after the Battle of Gettysburg in the Civil War, and it’s considered a historical landmark in the area. 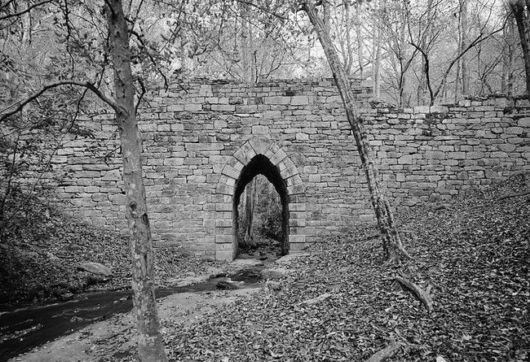 It’s also reported to be haunted by the ghosts of the fallen soldiers, as well as the ghosts of three Confederate deserters, who were allegedly hung from the bridge. Reports have come in about apparitions, cold spots, and people being touched by spectral hands. This bridge in Bowie, Maryland, is another one of the "Crybaby" bridges that seem so popular in American folklore. This one has various legends, all involving mothers and their babies perishing here. One says a woman and her baby were murdered in the 1930s. Another says a desperate unwed mother threw her baby from the bridge. At night, it’s said the cries of a baby can be heard, and a ghostly car is also said to appear. 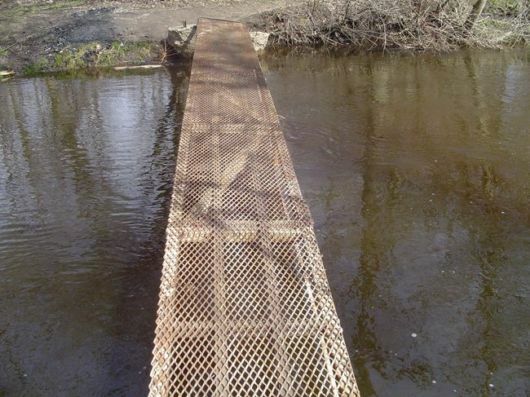 This bridge is no longer in use, which of course makes it creepier. It also has a crying baby legend, as well as a rumor of cult activity in the area. Creepiest of all is the very true occurrence of an elderly woman’s body found here. She had been strangled to death and her body partially burned. 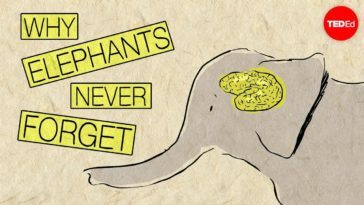 The case was ruled a homicide, but never solved. 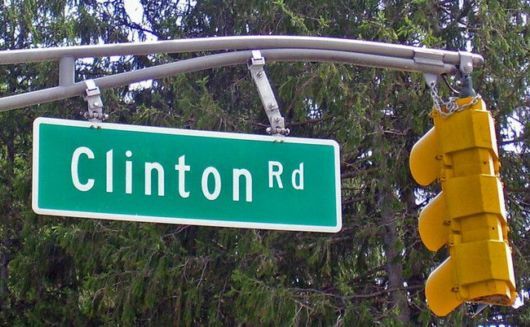 Clinton Road in West Milford is terrifying, if only for the fact that it features the country’s longest red light. A body was also found here in 1983 that ended up leading to the arrest of Richard "The Iceman" Kuklinski, a notorious mob hitman. As for the bridge, legend says that if you leave a quarter in the middle of the road on the bridge, it will be promptly returned at midnight by the ghost of a boy who either drowned or was hit by a car. Other legends on this road include Satanic cults, bizarre creatures, more ghosts, an 18th-century iron smelter believed to be a Druidic temple, and intense feelings of unease. Since the 1930s, stories have been told about people entering the covered bridge and simply never coming out the other side, including a couple driving home from prom who swerved and crashed into the water below, and an old woman who collapsed and died while crossing. Today, people have reported seeing lights under the bridge, as though a car with its lights still on is underwater, and the sounds of an old woman coughing and crying for help. In 1980, the dismembered body of a woman was found here. The body was identified in 1992, but the murder was never solved. Today, people say that they’ve felt touched or scratched by invisible forces, and heard the sound of footsteps or a girl screaming. Others describe banging on the doors of their cars or the sound of someone being dragged across the roof. 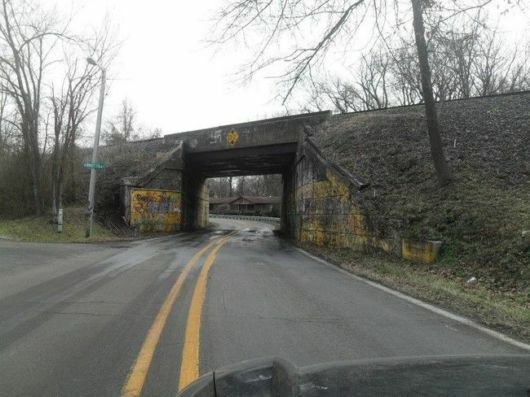 This isn’t actually one bridge, but a series of seven decommissioned railroad overpasses that span Lebanon Road in Collinsville. Legend says that if you drive under all seven and under the seventh "gate" at midnight, you’ll be transported to hell. Each gate has its own legends attached to it, including tales of hangings, satanic rituals, and the usual hauntings. No crying babies, though. This narrow, railing-less footbridge is just scary on its own without the legend attached to it. But the legend makes it even worse. In the 1800s, several children went missing. While the adults went to search for them, the rest of the kids were entrusted to a kindly older man named Elias Friske. Of course, Friske turned out to be the murderer, and slaughtered the rest of the children here, dumping their bodies into the water. He claimed demons made him do it, and was hanged from the bridge. This is the oldest surviving bridge in South Carolina, built in 1820. It’s also reported to be haunted, with tales of strange lights and sounds and even apparitions. 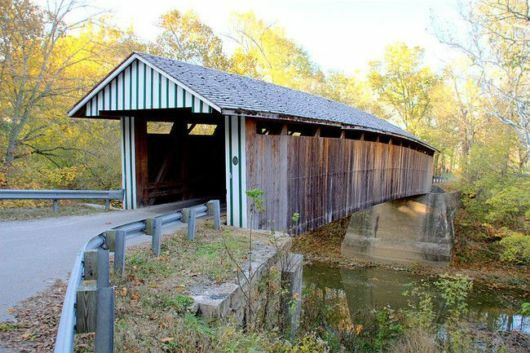 However, unlike a lot of the other bridges on this list, Poinsett has no clear legend attached to it. 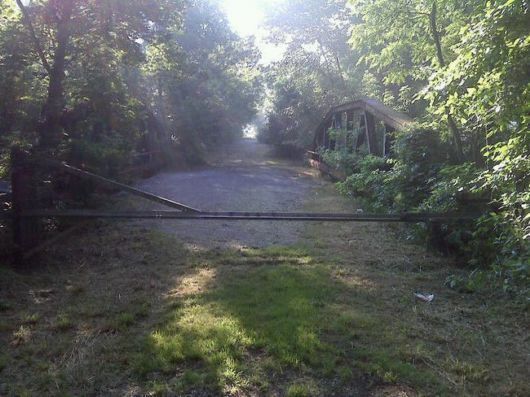 Some say the bridge is haunted by a lynched slave. Others say the ghosts are Native American in origin and have something to do with a burial ground. Paranormal investigators have reported spikes in activity here, and others say that their cars won’t start after a visit. 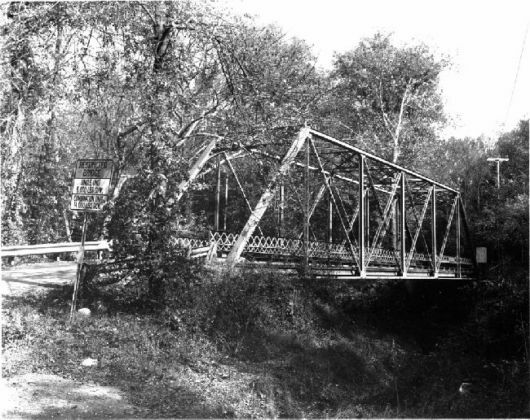 The name "Screaming Bridge" apparently actually had an innocuous origin: the original surface of the bridge was grooved, and made a "screaming" sound when driven over. Now, that name is associated with a much more sinister legend. Today, any screams heard are thought to be any number of tragic spirits. There’s one tale about a couple arguing and the man pushing the woman off. There’s another about a couple’s car breaking down and the man going to get help, only to return and find the woman hanging from the side of the bridge. And, of course, there’s a woman tossing her baby over the side. The only actual recorded death here was a locomotive accident in 1909 that killed two engineers and injured three others. A major bridge traversed by thousands daily in the middle of a major city seems like a weird place for a haunting, right? Well, not really. During the bridge’s construction, 27 workers were killed, many falling to their deaths as they worked on the higher portions of the bridge. One worker was decapitated by a snapped cable. 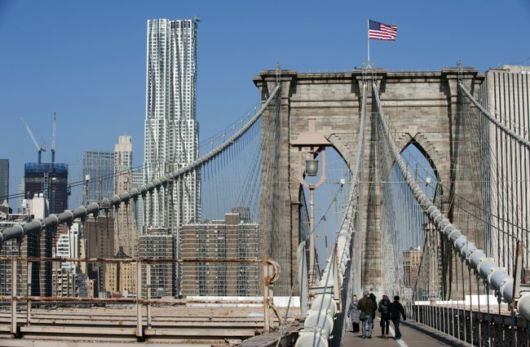 On the day of the bridge’s opening in 1883, a panic broke out when people came under the impression that the bridge was about to collapse into the East River. The crowd surged off the bridge in a stampede, and 12 people were trampled to death. Today, people report hearing screams for help coming from the water below, only to see no one when they check. Others have reported seeing a headless ghost roaming around, possibly the worker killed by the cable. It’s pretty fascinating how humans are drawn to bridges as the sources of their legends. If you’re traveling through the U.S. and have the stomach for it, we recommend checking some of these places out and seeing if you can detect some screams or crying babies. You might want to do the Seven Gates to Hell in the daylight, though.